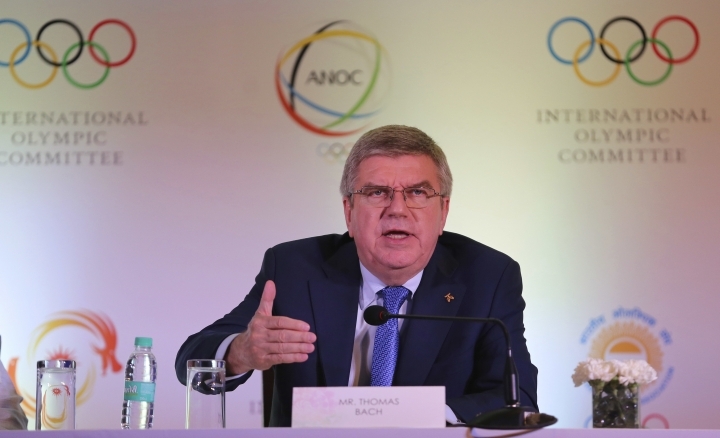 JAKARTA, Indonesia — International Olympic Committee President Thomas Bach isn't certain if, or when, esports might be incorporated into the Olympic Games. But he was clear in an interview with The Associated Press at the Asian Games on Saturday about the need to meet some conditions before being considered. "We cannot have in the Olympic program a game which is promoting violence or discrimination," he told the AP. "So-called killer games. They, from our point of view, are contradictory to the Olympic values and cannot therefore be accepted." Esports is being held for the first time at the Asian Games as a demonstration sport, and could be a full-medal event in four years in Hangzhou, China. Could the Olympics be next? The IOC has been mulling over many of these questions since holding an esports forum in July at IOC headquarters in Lausanne, Switzerland. Bach still needs convincing. He won an Olympic gold medal in fencing, which uses swords, and tried to draw a distinction. "Of course every combat sport has its origins in a real fight among people," he said. "But sport is the civilized expression about this. If you have egames where it's about killing somebody, this cannot be brought into line with our Olympic values." Asian Games organizers several days ago expressed sympathy for victims of the deadly shooting at a video games tournament in a Florida shopping mall. They faulted US gun laws, not esports. "But I think this is a bigger issue of gun control and access to guns," said Kenneth Fok, president of the Asian Electronic Sports Federation, following the shooting. In a wide-ranging interview, Bach also talked up Indonesia's chances of landing the 2032 Olympics. Indonesia President Joko "Jokowi" Widodo surprised the country Saturday by saying it would bid. It comes as the Asian Games close on Sunday with Widodo up for re-election in April. "You see a successful delivery of the Asian Games," Bach said. "I think this is a very solid foundation for a good candidature (for Indonesia)." Rio spent about $20 billion to organize its Olympics, and Tokyo will spend about the same to run the games and prepare the city. Bach also asked for realism in the fight against doping. 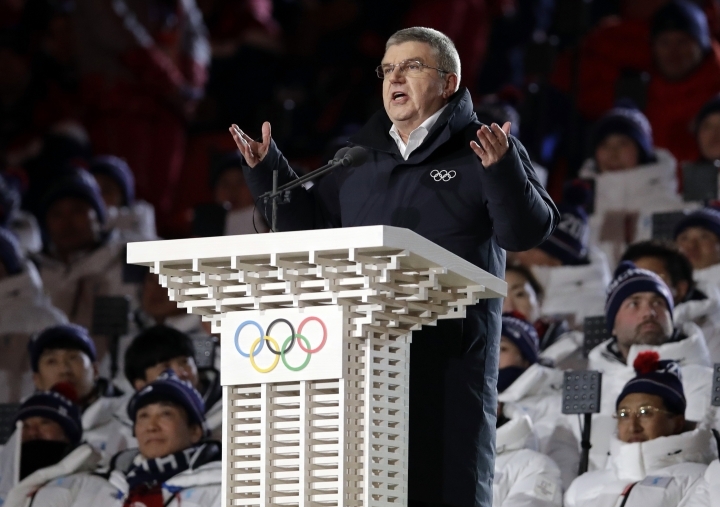 A Russian state-run doping scandal has blighted the last three Olympics, beginning with the 2014 Sochi Winter Olympics. He said the fight had to be "every day with all determination." But even that won't be enough. "You have to be realist, and this means that there will never come the day when we will be able to say we have won the war against doping," he said. "Unfortunately, it appears to be that as long as human beings are in competition with each other you will always have some who are looking for their own advantage even by the violation of laws and rules." Bach said he and 2020 Tokyo Olympic organizers were concerned about scorching temperatures this summer in the Japanese capital. But he said he was sleeping "much easier" than he was two years before the problematic Rio de Janeiro Olympics. "We see the preparations are going on schedule, that you are not confronted with a country that is in crisis, as Brazil was before the games." He said he had not been to Brazil since 2016 and said he had no immediate plans to return. Carlos Nuzman, the head of the Rio de Janeiro organizing committee and IOC member, was suspended by the IOC after his arrest on bribery, fraud and vote-buying charges. "You can see today the country is still not out of crisis," Bach said.